Albion is what the Celts used to call England. 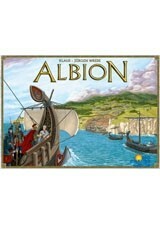 This fascinating game recreates the conquest and defence of ancient Albion. The game focuses on clever decisions on the order of development: More movement, more resources, better defences, or more patricians and legionaries?